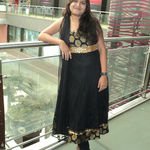 My Name is Vaibhavi Patel . I am doing full time Freelancing Work. -- E-COMMERCE WEB DEVELOPMENT: E-commerce shopping cart, order processing, payment gateways integration --...Read moreMy Name is Vaibhavi Patel . I am doing full time Freelancing Work. -- WEB PROGRAMMING / DATABASE PROGRAMMING: PHP MYSQL programming, Apache MYSQL programming. I believe in delivering smart web solutions to my clients and understand the need of every business that wishes to create a Brand for themselves. Vaibhavi was an excellent partner.She helped me do more things than i asked for in the same low price.She is very skilled.One of the best choises for sure.Choose her!! Working with Vaibhavi has been an excellent experience. She has been so professional and hardworking on my project and I recommend anyone looking to have a creative mind handling his/her project to work with her. She is very knowledgeable and will deliver as promised. Convert a PSD file to Wordpress home page. Upto the mark. Communication was as expected. Thank you! Vaibhavi went out of her way and comfort zone to help me fix something that 20 other people could not do . Recommended for effort , work ethic, communication and proffesionalism.